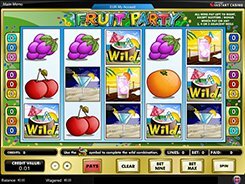 With the reels populated by classic fruit symbols, BARs and sevens, this 5-reel slot produced by Amaya resembles very much an authentic Vegas-style slot machine, but as you take a closer look at the control buttons or view the paytable, you discover that the slot has some amazing features that offer a lot of prize-winning opportunities. By changing a coin value and the number of coins per line, you may customize your preferred bet size per spin within the range between $0.40 and $500. 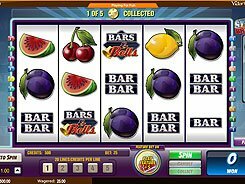 To the right of the reels, you will see the Streak Breaker Meter that pays a random cash award in case you had 5 non-winning spins in a row. To activate the feature you need to place an extra bet that comes in addition to a regular bet. 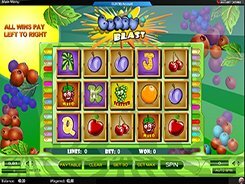 The slot features a wild symbol (the Bell) that acts as a substitute and pays out 5000 coins (up to a jaw-dropping $125,000 on max bet) for five of a kind. 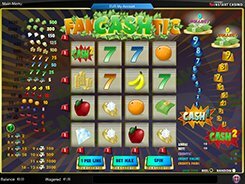 There is also the Shake’n’Pays feature that occurs randomly after any spin making the reels shake like an earthquake, and awards a random amount of up to 5000 coins. PLAY FOR REAL MONEY!